Great investment property, no rental restrictions! 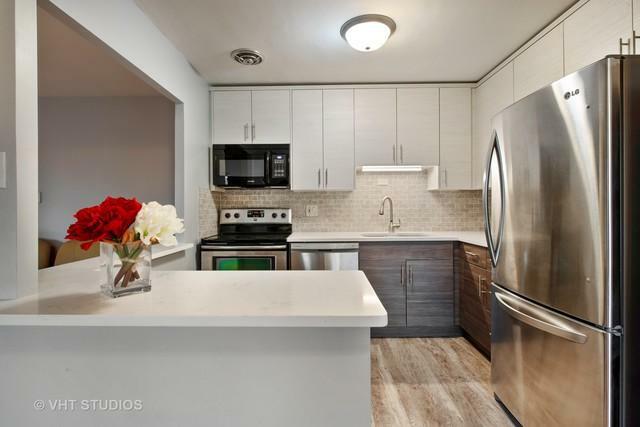 Cool contemporary large 2 bed/2bath home, perfectly situated between iconic University of Chicago and the bustling shopping/restaurant heart of Hyde Park. 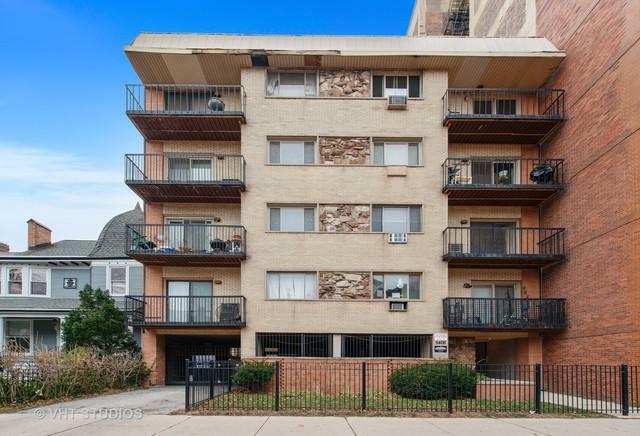 Steps away from restaurants, cafes, shopping and public transportation. Beautifully renovated residence has covered gated parking space! Boutique 14 units elevator building, low assessments, low taxes. 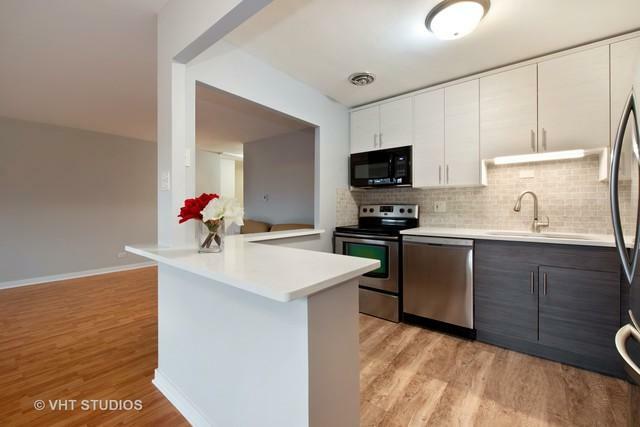 Gorgeous new open kitchen, 42" white top/walnut bottom cabinets, white quartz countertops, quartz breakfast bar, brand new stainless appliances. Fresh paint, hardwood and laminate floors throughout, no carpeting. Fantastic open floor plan. Formal entry foyer with large closet leads to oversized living room. 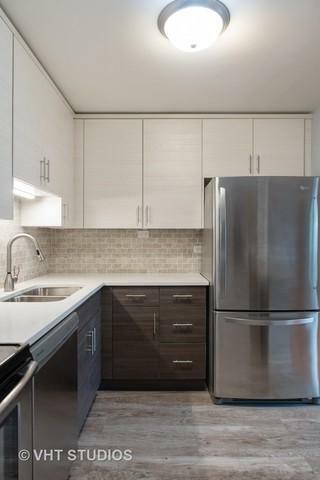 Open kitchen connects to living/dining areas. Large private balcony, great for grilling. Split floor plan, great size master bedroom, master bath with walk-in shower, spacious second bedroom easily fits a king size bed. Ideal location! 10 min walk to Lake Michigan.